I’ve been working on the Harpsichord’s case mouldings for the past two weeks. At 1/4 x 1/2 inch they are rather small and delicate, and all have to be routed. The routed profile is only ~ 9/32 of an inch, some of which is curved. 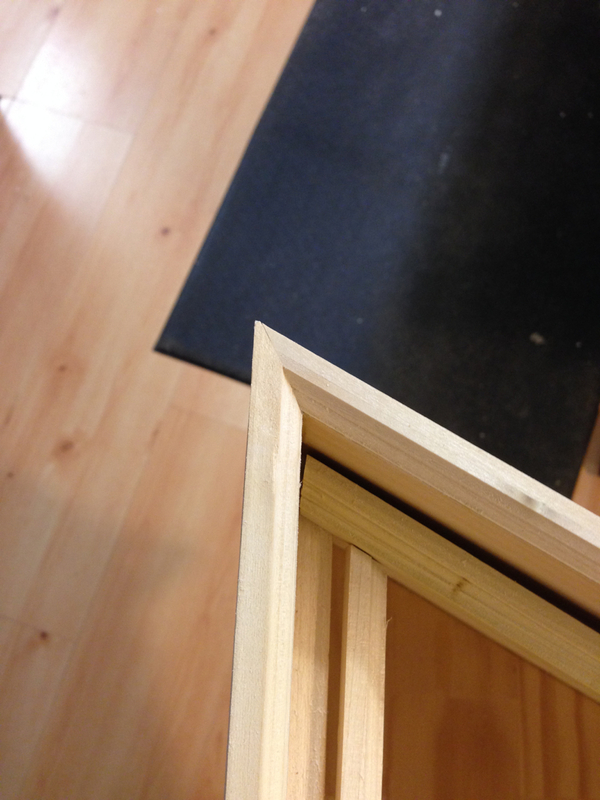 Making the curved moulding is just like making the bentside, laying up thin strips of poplar 1/2″ wide x ~3/16″ thick, ending up with a piece that is ~1/2 x 1/2. This glue-up is then put on the same form used to make the bentside, then after it is dry running it through the thickness sander until it was 1/4″ thick. With that blank, setup the router table, with lots of feather boards to hold it rock steady and push them through. The non-curved parts, which is most of them, are much simpler. 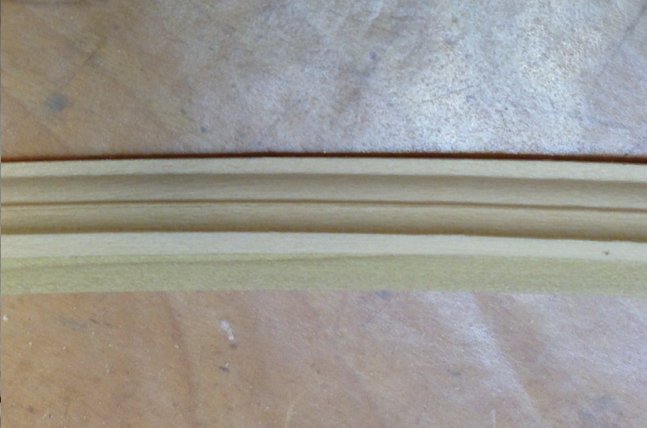 Just a number of 1/2 x 1/4 inch strips of poplar run through on the 1/2″ face and voila, mouldings! After preparing all of the moldings they then had to all be mitered to fit to a very close tolerance, which is somewhat finicky work and takes a lot of patience. One thing about building an instrument like this is that you learn you must be extremely patient. And if a part doesn’t come out the way it should or the way you like it, you make a new one! Installation is pretty straightforward, dry fit all the pieces, then install them with glue. Once the glue is dry, I flush out any slight variances with a small plane that takes a shaving so thin you can read the newspaper through it! Now that the mouldings are installed I will hand fashion a brass hook that will hold the Jack Rail in place on the Cheek side. Stay tuned! This entry was posted in Harpsichord and tagged harpsichord building, instrument making, musical instrument making. Bookmark the permalink.